Another little known bit of history, the birth control pill was first tested in Puerto Rico. The pill given to women of all ages in PR was 25 times stronger than it is today, many women became ill due to the adverse effects of the experimental drug. At least 3 of the women died. Don't forget to go out and vote!!! It wasn't until I was a full-fledged adult in college that I learned the history of the mass sterilization of women in Puerto Rico and to some extent in poorer areas of NYC committed by the US. I couldn't believe that no one was outraged or even spoke of it. It continues to bother me that it is not a well known matter either. So here is some information about a great injustice, Literanista is just passing on. Puerto Rico has the highest incidence of female sterilization in the world. Over one-third of all Puerto Rican women of childbearing age have been sterilized. So common is the operation that it is simply known as ‘la operacion.’ Using newsreels and excerpts from government propaganda films, plus interviews with Puerto Rican women, doctors, birth control specialists and politicians, this film explores the controversial use of sterilization as a means of population control. One Book a Lot of People Need to Read! On May 14, 2003, a familiar risk-filled journey, taken by hopeful Mexican immigrants attempting to illegally cross into the United States, took a tragic turn. Inside a sweltering truck abandoned in Texas, authorities found at least 74 people packed into a "human heap of desperation." After months of investigation, a 25-year-old Honduran-born woman named Karla Chavez was found responsible for leading the human trafficking cell that led to this grisly tragedy in which 19 people died. 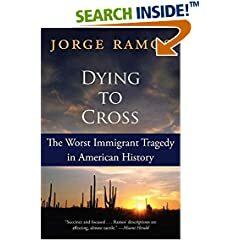 Through interviews with survivors who had the courage to share their stories and conversations with the victims' families, and in examining the political implications of the incident for both U.S. and Mexican immigration policies, Jorge Ramos tells the story of one of the most heartbreaking episodes of our nation's turbulent history of immigration. Not only is Jorge Ramos, one gorgeous specimen of a man, but he is also one of the most intellectual and compassionate people I've come across. I think this book needs to be recommended reading for many Americans. Anyone read it and want to comment? I am putting this one on my to-do-list for sure! What are your favorite hispanic genre books and/or what book(s) would you say is a must-read for all people? I would say my most recent favorite is The Shadow of the Wind by Carlos Ruiz Zafon and Lucia Graves. What an amazing book, it reminded me of Ernest Hemingway's voice. For me a fundamental book was Down These Mean Streets (Vintage) by Piri Thomas as well as The Alchemist: A Fable About Following Your Dream by Paulo Coelho. When I read Thomas' book, I was 12 years old and living in Spanish Harlem, and I was in awe that someone had written with such clarity about that same place forty years earlier. It was even more inspiring to me that that someone was a Boricua too. The impact of that fact was never forgotten. Coehlo's novel was recommended to me by several people, including the artist De La Vega, but I didn't read it until a couple of years later. When I did I found the same wonder and magic and truth in it that brought back memories of the hope and universal truth that I carried in me as a young idealic little girl. I wanted to go out and buy this inspiritional tale for everyone I loved, my brothers, my lover and my friends. There have been other magical books as well, like Like Water for Chocolate: A Novel in Monthly Installments with Recipes, Romances, and Home Remedies by Laura Esquivel , and The Stories of Eva Luna by Isabel Allende. So, enough about me...what books have made an impact on you and why? Join the NY Times as they present this 2nd annual literary festival for "book lovers of all ages." This event is jam packed with some pretty serious, heavy hitting literary talent. It includes readings, signings, discussions and a whole program for the kids. Age appropriate for 13 year olds and up. As part of Branching Out: Poetry for the 21st Century, our jointventure with Poets House which brings engaging talks by distinguishedpoets to public library systems across the country, we are proud toannounce BRANCHING OUT NYC! "Among his many masterworks, Neruda wrote poems about the mysteriouspower of poetry itself, a power embraced by Chilean culture. Thisevening focuses on the evolution of Neruda as a political poet, hisstruggle and exile at the hands of his own government, his death inthe wake of the military coup, and his redemption after democracyreturned to Chile. "Martin Espada is the author of several collections of poetryincluding Alabanza: New and Selected Poems 1982-2002. He is aprofessor in the Department of English at the University ofMassachusetts-Amherst, where he teaches creative writing, Latinopoetry, and the work of Pablo Neruda. Why is no one posting or commenting? A few people have emailed me and asked if it's okay to post, which has me worried. Am I coming off as unwelcoming or extreme? Please forgive me if I am. Everyone is welcome to post here, black, white, puerto rican, haitian...(forgive my Tribe Called Quest digression) but you know what I'm saying, everyone may comment and all opinions are respected here as long as they aren't SPAM. Scholastic is promoting their Horrible Histories Book Series for classroom use. Now I understand trying to promote reading through the use of gross graphics and cartoonish depictions in an attempt to engage kids, but honestly do Latinos and other foreign groups really need children having these depictions encrypted into their little heads at school. 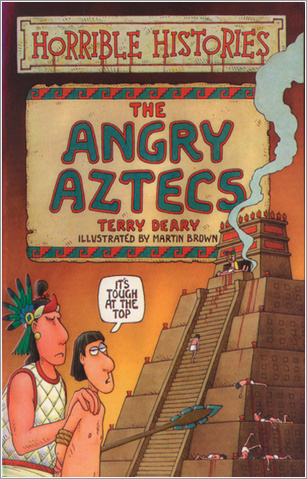 Find out about powerful priests, weird warriors, and the cunning Conquistadors, in this book which provides the foulest facts about Motecuhzoma, Cuahtemoc and other Angry Aztecs whose idea of fun was ripping out human hearts. Part of a series of books about history with the nasty bits left in! Featuring Mirta Ojito, author "Finding Mañana: A Memoir of A Cuban Exodus" Come join us as we celebrate Hispanic Heritage Month on Thursday, October 12, 2006 5:30 pm – 8:00 pm Location: Penguin Group USA 375 Hudson Street, 4th Floor SW corner of Hudson and Houston Street. Take the 1 train to Houston Street Register by email at Hermanassol@yahoo.com. Please be sure to include your name, email, telephone and number of participants. If you have any questions feel free to contact Lissette Resto Brooks (347) 512 - 7319 or Belinda Passafaro (917) 939 - 0994. "Enjoy light refreshments and great conversations among friends." The first 50 people will receive a free copy of "Finding Mañana: A Memoir of A Cuban Exodus". Summary: This week of Free AIDS and HIV testing is in honor of National Latino AIDS Awareness Day. Quit making excuses, and go get tested at these free clinics. Testing is painless (cotton swab in the mouth) and fast. HarperCollins and Beliefnet.com are proud to present a live, online conversation with Paulo Coelho, International Bestselling Author of The Alchemist, The Devil and Miss Prym, and The Zahir. Throughout this exclusive web event, fans can submit questions to Paulo and hear his responses. REGISTER NOW for this rare opportunity to participate in a conversation with this world renowned author who has changed millions of lives. 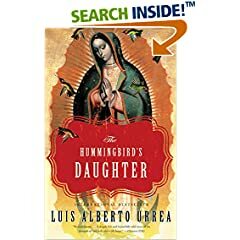 Miracles and passion abound in this mesmerizing novel--hailed everywhere as a masterwork--the story of a remarkable young woman's sudden sainthood in the revolutionary-era Mexico of the late 19th century. # 6 from a survey of the Book Sense bestseller list 10/2006. News: Bookstores in Spanish Neighborhoods? I post this because just yesterday, as my bus took its path through Spanish Harlem's 3rd Avenue, I thought how badly this neighborhood needed a bookstore... One that catered to our Puerto Rican, Mexican and African- American mosaic. OAKLAND -- On a Friday afternoon, the sugary smell of baked treats waft down Fruitvale Avenue. The smell entices a steady flow of customers up the block from Oakland's International Boulevard to a Mexican bakery. A women leaving the bakery pauses, then notices something new next door: a bookstore. Sure, there are a few other places you can buy a book in the Fruitvale: one store has a rack of pulp Westerns, and a church has storefront where you can find Bibles and religious texts. But if you want to purchase a novel by Gabriel Garcia Marquez, a home improvement manual, or even "Chicken Soup for the Soul," then Libreria Coyoacan is the only shop in the neighborhood. Some 13 bookcases may seem like a small selection, but the array of books, all but a handful in Spanish, is a milestone in the revival of the Fruitvale. Libreria Coyoacan's owner, 32-year old Ivan Hurtado, arrived in the United States three years ago. Weary of the crime in his home city, he left a steady job as a broker and investment advisor working at Mexico City's foreign exchange to reunite with his parents who had come to the States more than a decade ago. Despite his experience and international business degree from a top Mexican university, Hurtado could only find work in dead-end jobs—construction worker, electrician, dental assistant. "It was depressing," said Hurtado. When Hurtado decided to open his bookstore earlier this year, he saw it as more than just a chance for him to own a business. He felt it would also help his neighbors. "A community that reads, a community learns more, they have better opportunities to live a better life, get a better job—not just in construction," said Hurtado. Fruitvale resident and regular customer Graciela Seeley agreed. "A bookstore is necessary for every neighborhood, and this one didn't have one," she said. Lara Walker, a 19-year-old who lives east of the neighborhood, was surprised when she found Coyoacan. Walker typically reads in English, but she says Hurtado's store will make it easier for her to reconnect with her Hispanic heritage. The bookstores where she usually shops basically don't carry books in Spanish. "They only have like 5 or 6 books in Spanish literature," she said. "They don't have much to offer." Over the last 15 years, the Fruitvale has had a slow rebirth. Tax revenues are up and retail vacancies are down. But the shopping corridor along International Boulevard remains saturated with a narrow spectrum of businesses: discount shops, Mexican restaurants, beauty salons, and sneaker shops. Payless Shoes has stores on consecutive blocks along International Boulevard. The opening of Libreria Coyoacan came as a surprise to many in the neighborhood. Jenny Kassan ran the Unity Council's Main Street program, which spruced up the area by cleaning the streets, helping business owners paint their storefronts, and even painting the trashcans in bright Mexican motifs. For years, she and others at the Unity Council had tried to lure a bookstore into the Fruitvale. Stores either weren't interested, or were unwilling to open in a small retail space. "Suddenly this guy came along and opened a bookstore," Kassan said. Local independent businesses like Libreria Coyoacan "add to the community feel" of the Fruitvale according to Sergio Arroyo, a program coordinator with the Fruitvale's Spanish Speaking Citizens Foundation. But Arroyo remains cautious. "The real challenge will be keeping the place open." Janet Lopez, manager of the local branch of the Oakland Public Library, also says the Coyoacan may have a tough time. "People here (in the Fruitvale) are still kind of in survival mode," says Lopez. Her patrons come to the library for books on practical subjects: immigration assistance, ESL texts, resume writing, buying a house, family relations. Independent bookstores around the country are struggling to stay afloat. Since the 1990s, the number of independent bookstores across the nation has been cut by more than half—from more than 4000 to about 1800—largely due to competition from mega-stores like Barnes and Noble and Borders, and the advent of Amazon.com. Bookstores face challenges different than other retailers. Their merchandise comes with a price already printed on it, and retailers don't get a large discount from distributors. Many bookstores struggle to make the 2% profit that is the industry formula for staying afloat. Community involvement is critical to the success of any bookstore. Michael Tucker, owner of local bookstore chain Books Inc., says that if a bookstore is going to survive, "it needs to be interactive with the community," either through ties to local schools, or through cultural events. Until late July, Coyoacan was tucked into tiny storefront barely 15 feet wide. Six months earlier, Hurtado had purchased some 200 books that were stacked along the floor and took over the lease. He then started making what he calls "a real bookstore." For the first few months, the bright new lighting and shelves brought customers to Coyoacan, but the lack of floor space cramped Hurtado's vision for his bookstore. By May, Hurtado had started negotiating a deal to swap places with a beauty salon a block south. The new store offered Hurtado the space to transform his shop. Since reopening, Hurtado has brought in more Mexican handicrafts and paintings—all for sale. He added a couple of small tables and a pair of new computers with internet access in the back of the store. Beyond the physical changes, Hurtado has begun experimenting with free in-store events: book debates, movie nights, and children's story time. An evening dedicated to Aztec culture has been the most successful so far. A dozen people spent the evening talking about the Aztec calendar and mathematics. When Hurtado opened Libreria Coyoacan, he chose to name store after the neighborhood in Mexico City where he grew up. Once home to Frida Kahlo, Diego Rivera and Leon Trotsky, Coyoacan has remained a neighborhood where the arts and political action meet. Beyond the name, Liberia Coyoacan keeps Hurtado connected to his roots. When Hurtado has trouble tracking down a hard to find book, he sometimes calls old friends back in Mexico City. "Of course I miss the food, the tradition, the parties, but I think that my mission at this time is here," he says. FORT LAUDERDALE, Fla. - Smiling from behind their rounded spectacles, Abuelito Pancho and Abuelita Rosa sing Spanish lullabies that stir warm childhood memories for many Hispanics - and tug at their purse strings. The silver-haired grandparent dolls are the inspiration of three working moms from Miami who set out to preserve Hispanic culture for future generations. They ended up on the toy shelves of major retail stores, including Toys "R" Us and Target. Last month, Wal-Mart, the world's largest retailer, announced it would carry the dolls at more than 330 stores. Dressed in a guayabera shirt and traditional house robe known as a bata de casa, the Baby Abuelita dolls appeal to an increasingly powerful but underserved consumer group, experts say. Since 2000, Hispanic buying power has increased from $489 billion to about $800 billion, growing about twice as fast as that of non-Hispanics. By next year, Hispanics for the first time are expected to out-spend any other U.S. minority group, according to a report released last month by the Selig Center for Economic Growth at the University of Georgia. As a result, Baby Abuelita and hundreds of other Spanish-speaking and bilingual toys are positioned to cash in on the nation's shifting demographics. "My first thought when I saw them was, `How come nobody ever thought of this before?'" said Anabel Lewis. Born in Argentina, Lewis often travels from South Florida to Buenos Aires to visit family, and she always takes gifts. Abuelito Pancho, she says, was a rare but perfect find for her youngest nephew, 2-year-old Matias. "He started laughing and looking around," Lewis said. "It was very, very nice." The Target store in Greenacres, Fla., began selling the line of dolls in the spring, and they've been a hit, said Maricele Elliott, the store's toy department manager. "We have a lot of people who speak primarily Spanish in our community, so for our store it makes sense to sell them, and we do sell a lot," she said, noting only two were in stock last week. With a population of more than 42 million, Hispanics represent the country's largest and fastest-growing minority group. In response, major toy companies are making infant and preschool toys bilingual, said Reyne Rice, toy trend specialist for the Toy Industry Association. "It gives them the opportunity to sell to a larger market, and it gives them an entree to Spain and Latin America," she said. Popular animated heroine Dora the Explorer, a 7-year-old Hispanic adventurer, became a near instant commercial success. She debuted as the star of a Nickelodeon TV series in 2000 and later spun off a host of toys with cross-cultural appeal. Now Dora is the No. 1 licensed property for preschoolers. She has plenty of company: Scholastic Entertainment's Maya and Miguel characters are growing favorites who have inspired everything from miniature play sets to party decorations. For the trendy American Girl doll series, a top seller in 2005 was Marisol, a Mexican-American. There's also a popular Elmo toy that sings Sesame Street's theme song, "Sunny Day," in Spanish and English. South Florida, home to more than 2 million Hispanics, is an obvious launching pad for new Hispanic-themed products and bilingual toys. Play Along of Deerfield Beach, which has licensing agreements for Care Bears, Cabbage Patch Kids and other toy brands, is rolling out two new Care Bears this fall - Amigo Bear and Tele-Friend Amigo Bear. Amigo Bear sings only in Spanish and will be sold in markets with a high concentration of Hispanics. Tele-Friend Amigo Bear speaks both Spanish and English and will be marketed nationwide. "We expect (the launch) to be very successful because it's not just about the language," said Susan Evans, vice president of marketing for Play Along. "It's about caring and sharing and that's universal." Baby Abuelita clearly targets Hispanic consumers. But the founders - Hilda Argilagos-Jimenez, Carol Fenster and Laura Santamaria - say the dolls transcend geographic borders. Abuelito Pancho and Abuelita Rosa sing pan-American lullabies such as Los pollitos dicen ("The baby chickens say") and Arroz con leche, ("Rice with milk") which date back several generations and run the risk of being forgotten by young Hispanics. They also are modeled after important figures in many Hispanic families - grandparents. "Toys that have an emotional appeal for the parents and animated play appeal for the kids can be a great combination," said Felippe Korzenny, director of the Florida State University Center for Hispanic Marketing Communication. Hispanics, especially those of younger generations, often want to secure their heritage once they have children, Korzenny said. Toys such as the Baby Abuelita dolls, he said, are seen as a fun way to reinforce the parents' cultural teachings. Baby Abuelita founder Argilagos-Jimenez, a Cuban-American mother of two daughters, says early memories of her grandparents triggered her interest in preserving the Spanish songs. "The only way I would eat my lunch in the high chair was when my grandparents were singing to me," she said. But once Argilagos-Jimenez tried to write down the nursery rhymes to sing to her daughters, there were parts she couldn't remember. Concerned that a significant slice of Hispanic culture could be lost, in 2004 she partnered with Fenster, a psychotherapist, and Cuban native Laura Santamaria, an international business attorney. Argilagos-Jimenez offered the songs, Fenster created the doll concept, and Santamaria helped the group develop a business plan for the venture. They introduced the Baby Abuelita prototype dolls in May of 2005 and by the end of the year sold a total of 3,000. This year, Fenster said they expect to sell close to 60,000. In addition to Abuelita Rosa and Abuelito Pancho, which retail for $24.99, the line also includes a granddaughter called Baby Andrea, who also sings Spanish lullabies. The women are planning to release a series of Baby Abuelita musical books in November, and are negotiating with a TV network to develop a children's program around the Baby Abuelita family. While the group has tapped into a profitable niche, Korzenny and others say non-Hispanics may not embrace toys such as the Baby Abuelita dolls because they are too culture specific. But that's exactly what drew Mike Barron to buy Abuelito Pancho for his nephew Willie's second birthday. Willie's parents, who are of Guatemalan and Cuban descent, are teaching him both Spanish and English. "They're just trying to keep his cultural identity intact," Barron said. Source: (c) 2006 South Florida Sun-Sentinel. I guess it makes sense, that if you think Harry Potter will turn your child into an evil-worshipper then imagine what might happen if they learn Spanish. ATLANTA -- A suburban county that sparked a public outcry when its libraries temporarily eliminated funding for Spanish-language fiction is now being asked to ban Harry Potter books from its schools.Laura Mallory, a mother of four, told a hearing officer for the state Board of Education on Tuesday that the popular fiction series is an "evil" attempt to indoctrinate children in the Wicca religion. But Victoria Sweeny, an attorney for the Gwinnett County Board of Education in Atlanta's eastern suburbs, said that if schools were to remove all books containing reference to witches, they would have to ban "Macbeth" and "Cinderella. ""There's a mountain of evidence for keeping Harry Potter," she said, adding that the books don't support any particular religion but instead present universal themes of friendship and overcoming adversity.In June, the county's library board eliminated $3,000 that had been set aside to buy Spanish-language fiction in the coming fiscal year. One board member said the move came after some residents objected to using taxpayer dollars for readers who might be illegal immigrants.Days later, the board reversed its decision amid accusations that the move was anti-Hispanic. As for the Potter books, Mallory said: "They're not educationally suitable and have been shown to be harmful to some kids." She said the books promote the Wicca religion, and yet teachers do not assign other religious books like the Bible as student reading.Mallory, who first tried to get her son's elementary school to ban the books in August 2005, said Harry Potter is harmful to children who cannot tell reality from fantasy.Referring to some recent deadly assaults at schools, she said books that promote evil--as she claims the Potter stories do--help foster the kind of culture where school shootings happen.The state board will decide the case in December.Wiccans may consider themselves witches, pagans or neo-pagans, and say their religion is based on respect for the Earth, nature and the cycle of the seasons. 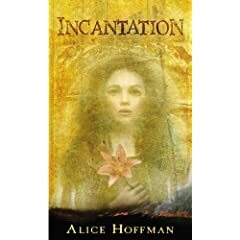 Alice Hoffman is one of my favorite authors and she has a new book about a Spanish Jew. Estrella is witness to her mother's burning and her brother's bones being broken by the police "one at a time." Acclaimed adult writer Hoffman, whose YA books include Aquamarine (2001), makes the history immediate in Estrella's spare, intense first-person narrative, in which tension builds as Estrella's discovers her hidden identity. Suggest Deborah Siegel's The Cross by Day, the Mezuzzah by Night (1999) or June Weltman's Mystery of the Missing Candlestick (2004) to readers wanting other stories about Marranos. One day, a band of guerrillas arrives in the mountain village of Mariquita, forcibly "recruits" all the men and takes them away to fight for the communist cause, leaving only the women and children. Tales from the Town of Widows recounts their struggle to get beyond grief and overturn centuries of tradition. In the process, they challenge the strong male orientation of their world, discover power and make a new life for themselves without men. Ironically, they end up creating an equality-based society similar to the socialist ideal the guerrillas claim to be fighting for. This all-female utopia is put to the test when, after 16 years, four men return to the village, forcing the women to negotiate between past and present; between the world they've lost and the imperfect but peaceful existence they've created. James Cañón was born and raised in Colombia. After majoring in Advertising from the Universidad Jorge Tadeo Lozano in Bogotá, he moved to New York to learn English. He began his writing career while taking a grammar class at NYU. Since then, he's written a number of short stories and a novel. His English short fiction has been published in Frontiers Magazine, and in the anthologies Bésame Mucho (Painted Leaf Press), and Virgins, Guerrillas & Locas (Cleis Press). An excerpt from his first novel, Tales from the Town of Widows, appeared in Chautauqua Literary Journal. Cañón received his MFA in Creative Writing from Columbia University. While at Columbia, he was awarded the 2001 Henfield Prize for Excellence in fiction, and was a finalist in the inaugural cycle of the International Rolex Mentor & Protégé Arts Initiative. He has received fellowships from the MacDowell Colony, Yaddo, Saltonstall Foundation for the Arts, Blue Mountain Center and the Millay Colony. He is currently at work on his second novel. Don't call it Gloria Estefan day. It's more like "weeks." The second storybook by the singer-turned-children's-book author goes on sale Oct. 10, the same day as the launch of a major national media tour for El Tesoro de Noelle: Una Nueva Mágica y Misteriosa Aventura (Noelle's Treasure Tale: A New Magically Mysterious Adventure). Publisher Rayo, an imprint of HarperCollins, which has a deal for three children's books with Estefan, has an extensive marketing and publicity campaign that will tap radio, television and print media, in both languages. "She is truly a bicultural personality, big in the English-language market for certain reasons and big in the Spanish market," says Ray García, associate publisher and marketing director at Rayo. "She's not a translation of herself." That's precisely why the two-CD collection The Essential Gloria Estefan, ranging from 1984 to 2003, and in stores today by Epic/Legacy, a division of Sony BMG Music Entertainment, has been marketed for all music lovers. The album package also will play a part in helping to boost sales of the children's book through a dual CD/book marketing deal at Target. The retailer bought 10,000 special edition copies of the book, which will be available only when you buy the CD, explains García. The first run of the second installment, aimed at children ages 4 to 8, will be approximately 100,000 copies in both languages. A major national media tour hits the same day as the book's release on Oct. 10, with a VH1 satellite interview. The rest of the week will include an interview on ABC's Good Morning America, guest-hosting on The View and a chat on XM Satellite Radio's Oprah & Friends (all Oct. 11); an appearance on morning show Fox & Friends on Oct. 12; and a myriad number of interviews on Hispanic television, including CNN en Español (Oct. 13) and Univision. Online campaigns include both AOL and AOL Latino, with interviews to boot. Univision Network will play a large role with an online sweepstakes for book giveaways, an online chat with Estefan, and commercials on the TV and radio units. Target has an extensive advertising plan that goes beyond a "buy the book" mentality. The retailer will run full-page color ads in People and People en Español magazines to inspire people to read in coordination with the nonprofit initiative "Ready. Sit. Read!," for which Estefan is a spokesperson. Newspapers buys are already slated in the top Hispanic markets -- not only in Spanish-language papers such as El Diario La Prensa -- but large general-market publications such as The New York Times, Boston Globe, Los Angeles Times and The Miami Herald. New York City bookstores will host readings the week of launch, as well as the Oct. 15 Great Read in Bryant Park in Manhattan, where Estefan will read al fresco her book in English and Spanish. Other large bookstores are already on tap to pick up copies of the book. "The distribution [in bookstores] is smarter," García says. "We know where she sells and where she sells best. It's more targeted." The five-time Grammy Award winner made a splash with her first children's book, Las Mágicas y Misteriosas Aventuras de una Bulldog Llamada Noelle, around the same time last year, selling hundreds of thousands of books in both languages, according to Rayo's García, and holding onto the No. 2 spot on "The New York Times Children's Best Sellers" list for five weeks. Not bad considering the series of books was inspired by Estefan's English bulldog of the book title's name. HarperCollins Publishers and Grupo Planeta today announced a co-publishing agreement to develop a line of Spanish-language titles that will be published in the United States by the Rayo imprint of HarperCollins. The new venture will launch in the fall of 2006 with two previously published novels by international bestselling Spanish author Carlos Ruiz Zafón. Planeta, the leading Spanish-language publisher worldwide, is home to countless international bestselling authors. The goal of the partnership is to create bilingual and bicultural synergy between two of the most well respected English and Spanish language content publishers. Initially, Rayo/Planeta will publish nine titles per year. The titles will be selected from Planeta’s highly acclaimed front list and backlist and will be produced, marketed, publicized, sold and distributed in the United States by HarperCollins. “Grupo Planeta is a premier Spanish-language publisher. Our award-winning Rayo imprint is the perfect home for Planeta’s acclaimed authors in the United States,” said Jane Friedman, President and CEO of HarperCollins Publishers Worldwide. The first titles to be published under the partnership will be El Príncipe de la Niebla and El Palacio de la Medianoche by Carlos Ruiz Zafón. The two novels, which were originally published in the 1990s, are scheduled for release on November 21, 2006, marking the first time these books will be widely available in Spanish in the United States. Carlos Ruiz Zafón is also the author of the New York Times bestselling book, The Shadow of the Wind. In the future, HarperCollins will publish, in English, a select number of Planeta titles for distribution throughout its English-language territories. Planeta will also have the option to publish, in Spanish, a select number of HarperCollins titles throughout its own Spanish-language territories. On the 11th of September, 1973, the controversial president of Chile, Salvador Allende entered the Palacio de la Moneda, headquarters of his government, at 7:30AM. He died there at approximately two in the afternoon of the same day. Now, Rodolfo C. Quebleen, an Argentinian-American journalist, and current editor of Hora Hispana (the Spanish weekly feature in the Daily News) has written a play speculating on Allende's thoughts and feelings during the last tumultuous hours of his life. While unfolding in real time, the 90-minute monologue play takes place in Allende's mind, mixing the past with the present in equal measure, shifting backwards and forwards through his eventful life. Ramiro Sandoval portrays the embattled leader in a production directed by German A. Jaramillo. Has Anyone Seen Volver Yet? Three generations of women survive easterly wind, fire, madness, superstition and even death through goodness, lies and an unlimited vitality.They are: Raimunda (Penélope Cruz), married to an unemployed worker, and her teenager daughter (Yohana Cobo). Sole (Lola Dueñas), her sister, who earns her living as hairdresser. And their mother (Carmen Maura), dead in a burning, with her husband. This character comes as an apparition first to her sister (Chus Lampreave) and then to Sole, even though the ones she had unsettled affairs with were Raimunda and her village neighbour, Agustina (Blanca Portillo). ‘Volver’ is not a surreal comedy, though it might seem so at times. The living and the dead live together without problems, but provoking hilarious situations and others full of deep and genuine emotion. It is a movie about the culture of death in my native region, La Mancha. My folks there live it in astonishing simplicity. The way in which the dead are still present in their lifes, the richness and humanity of their rites makes it possible for the dead to never really die. ‘Volver’ shatters all clichés of a dark Spain and shows a Spain that is as real as it is opposed. A white Spain, spontaneous, fun, fearless, fair and with solidarity. The Joy of Opera, a new nonfiction work by superstar opera singer Plácido Domingo, has been acquired by W.W. Norton in a mid-six figure deal. The book was acquired by Norton executive editor Robert Weil and will be published in 2009. The deal was negotiated by Domingo's literary agent Steve Wasserman of Kneerim & Williams at Fish & Richardson. Norton publicity director Louise Brockett said the book is Domingo's first original book in almost 20 years. Domingo serves as general director of both the Los Angeles Opera and the Washington National Opera while he continues to perform as a singer and conductor in the U.S. and abroad. The book includes photographs and will survey Domingo's passion for opera, provide insights into musical performance and discuss the works of the great composers. Some of my favorite authors will be there, too bad there is a ticket fee for each event. Immerse yourself in the arts and literature October 6 through 8 during The New Yorker Festival, a phenomenal program of fiction readings, panel discussions, lectures, tours, demonstrations and musical performances. On Friday night Sherman Alexie, T.C. Boyle, Edwidge Danticat and Jonathan Safran Foer read their work. Aspiring scribes can take master classes in criticism and editing with the magazine's writers and editors.